Specifically designed to be used for moderate traffic on commercial and residential landscapes. Yarns are field green mixed with olive green colors. Picture a lawn that stays green throughout the year, no matter the weather conditions! Forget about insects, weeds, brown patches or holes because your new lawn won’t require much maintenance or water! 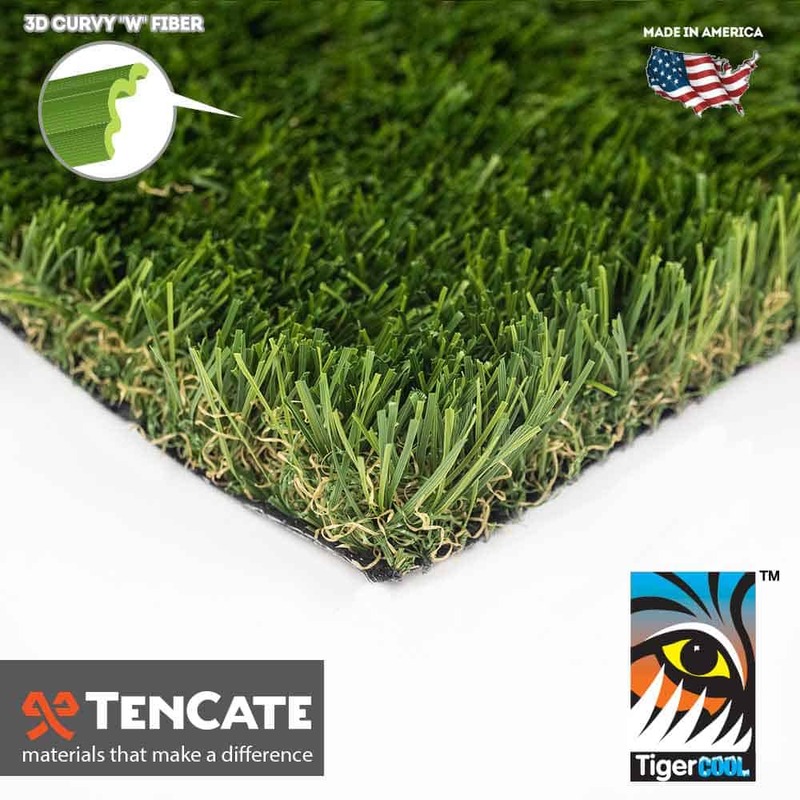 TigerTurf Diamond Light Fescue synthetic grass is a premium artificial grass model and is a top choice among the nation’s certified contractors and homeowners. In addition to its realistic appearance, Diamond Light Fescue artificial turf features a proprietary open ‘W’ blade shape technology, which allows this turf to handle moderate foot traffic for all types of landscape installations. The turf backing features an extremely strong tuft bind technology where the grass blades are triple reinforced into the backing. No more worrying about your dog’s daily bone hunt! Manufactured to blend in with your natural environment, Diamond Light Fescue turf is a perfect water-saving landscape alternative. In addition to superior backing technology, Diamond Light Fescue also features perforation, which allows pet urine, rain or any liquid to easily pass through without difficulty. Any additional residue requires a simple spray of the garden hose! We guarantee our Diamond Light Fescue product will save you time, water and money! Backed by our 15 year warranty, this product is an excellent choice for any landscape!